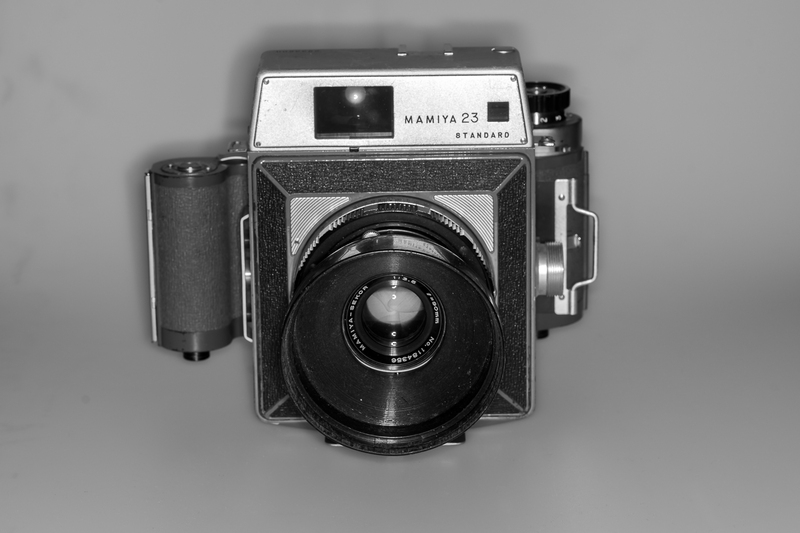 My old Mamiya 23 Standard has got a new sister the "Super 23". It features an integrated bellows and a better RF viewer supporting 100mm, 150mm and 250mm lenses. The Standard supports only 90mm and 150mm and you have to use tubes for macro. The "Standard" is shown with the "normal" lens 90mm and the "Super" with the W/A 65mm plus auxiliary viewer. 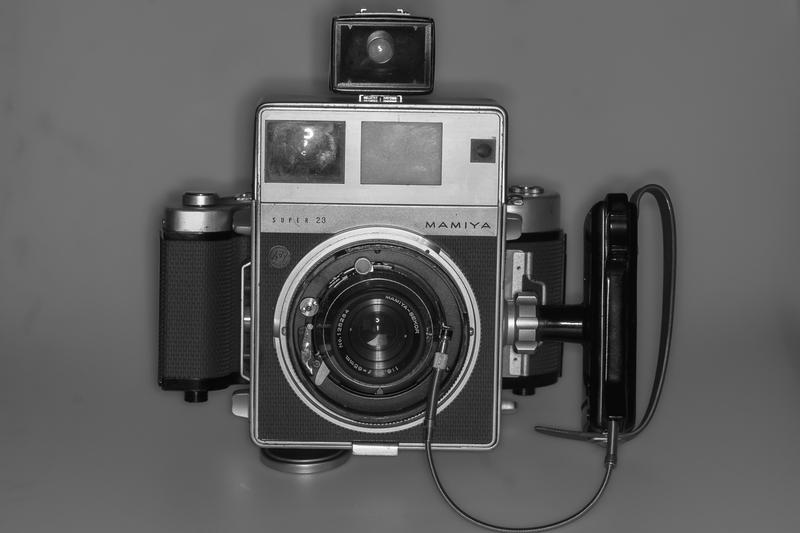 Both are able to handle different 120/220 roll film formats: 4.5x6, 6x7 and 6x9 and the small 6.5x9 sheet film.